This page features all you need to know about plus size fashion, runway fashion, street style, fashion trends, and the influence of international styles on American fashion. This book of fashion provides a visual list of tools, textiles, wearable art, and all things fashion-related, from bygone times to the present day, and from all over the world. Also see related links to other Free Books, discounts on plus size fashion designs, and more. PINAFORE: A sleeveless, casual ladies' dress with shoulder straps. Also known as a jumper. PINCORD / PINWALE: Fabric with a very narrow ribbing, often used for babies' clothing. Shown below, a happy looking lady in a pinwale pinafore jumper. 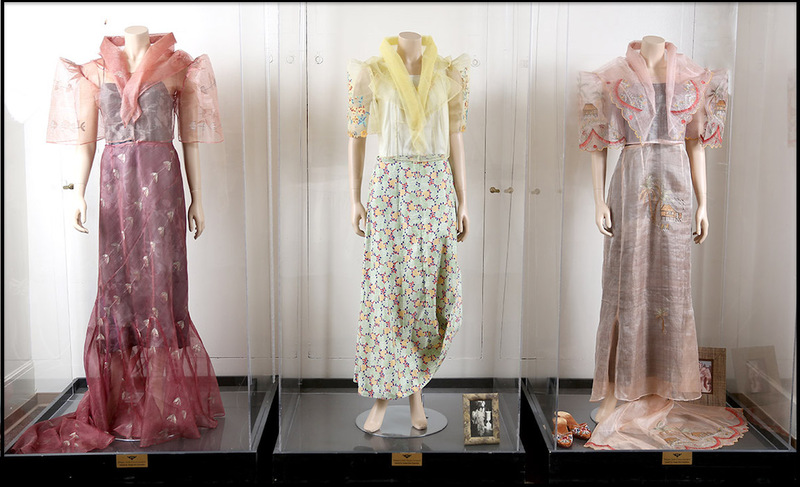 PINEAPPLE FIBER: A fiber derived from pineapple leaves, which is sometimes blended with silk to form a fabric. Originally created in the Philippines. PINSTRIPE: A graphic design on some fabrics, characterized by ultra thin vertical stripes. PIN-TUCK: Fixed, narrow pleats sewn flat onto the fabric. PIPING: A kind of decorative trim, sewn along the seams of a garment. PISHWAS: A type of Pakistani ladies' garment. PIQUE: A fabric textured all over with geometric shapes. PLACKET: The double layer of fabric that holds (for instance) the buttons and buttonholes in a shirt. 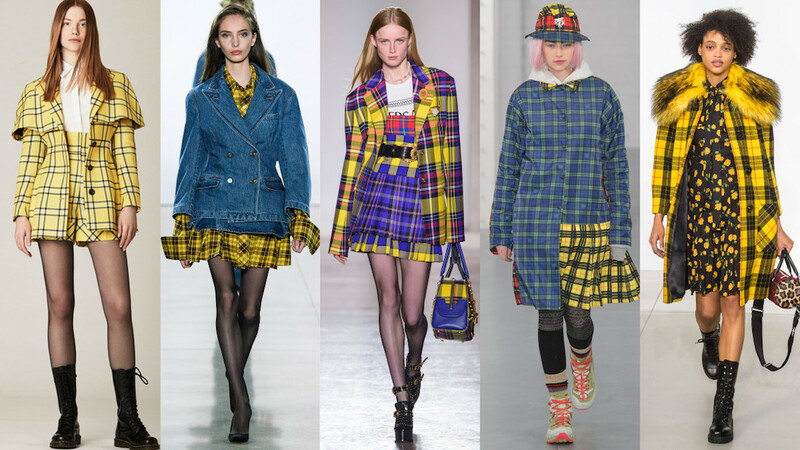 PLAID: Also known as tartan cloth, plaid refers to almost any fabric with a tricolor criss-cross pattern. 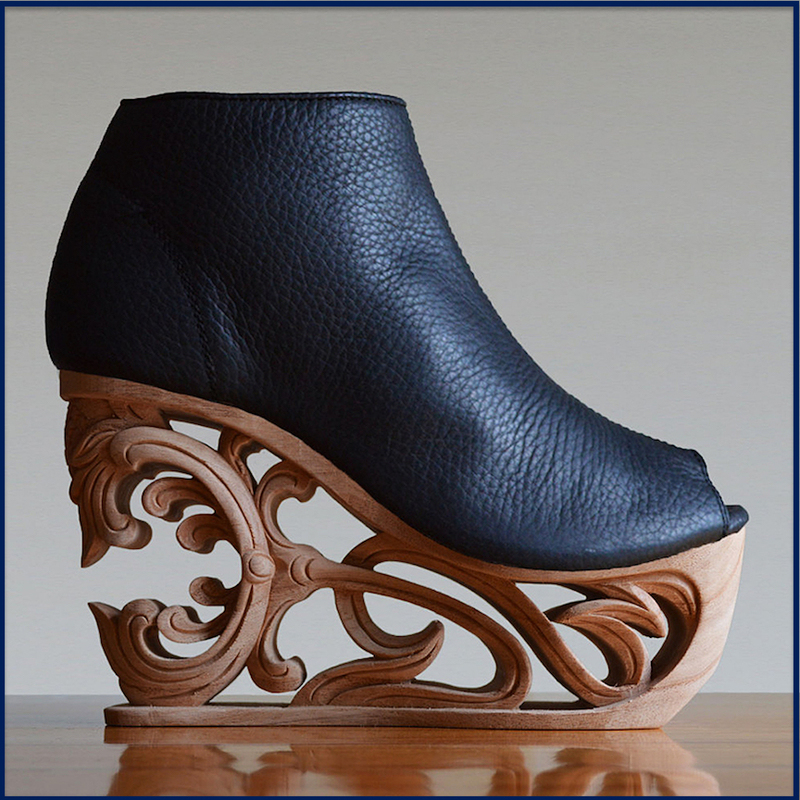 PLATFORM SHOES: Chunky shoes (or sneakers) that are literally raised onto platforms underneath the soles. Platform footwear is available in many streetwear styles. 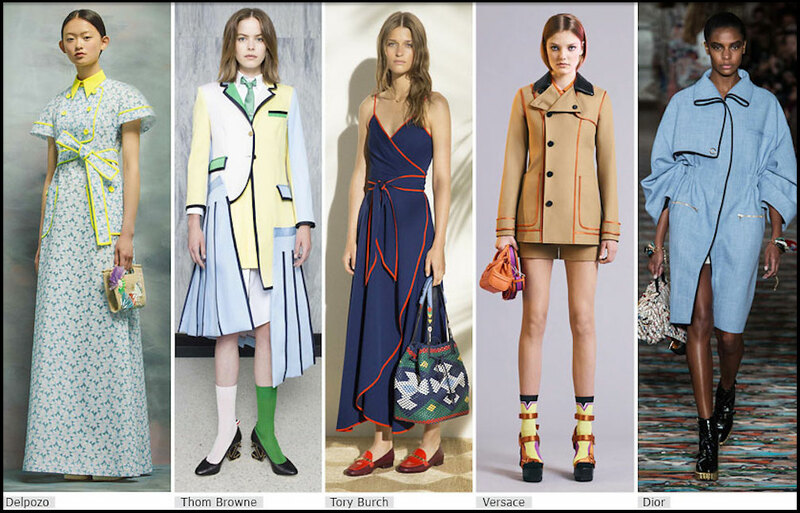 That being said, shown below are some much weirder styles. 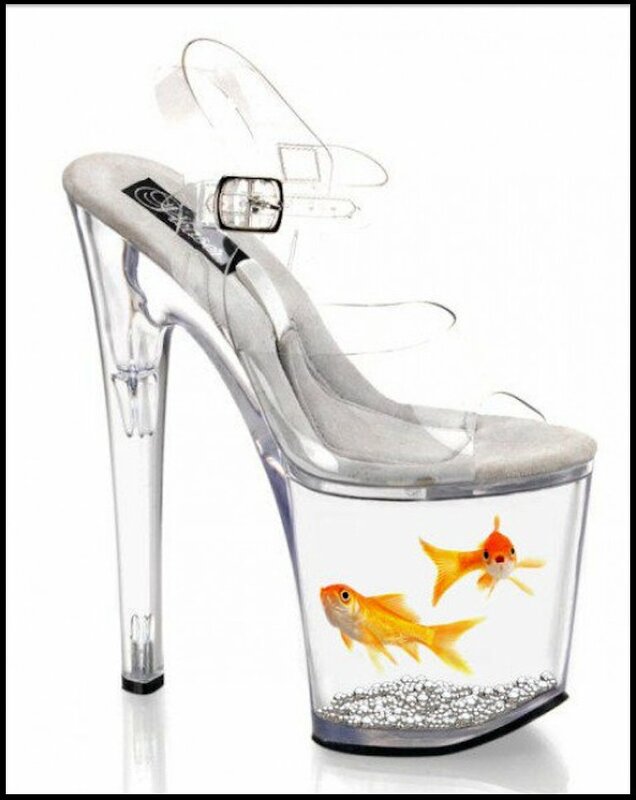 Or shall we say Avant Garde? PLEAT: A flexible fold in the fabric of a garment, designed for a better looking fit. 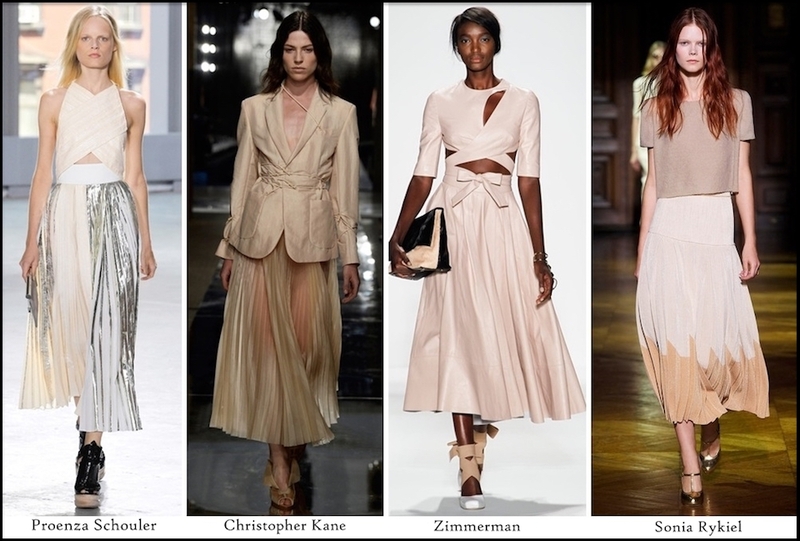 Shown below, pleated skirts hit the runway. PLISSÉ: A type of fabric that has been treated to give it a crinkled look. 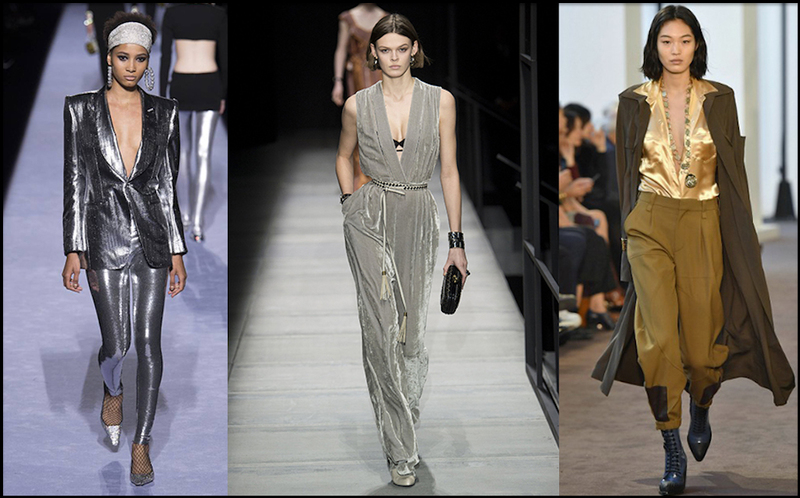 PLUNGING NECKLINE: A long V-neckline that closes below the bust. PLUSH: A type of velvet with a deep, soft pile, often used for making stuffed animals. 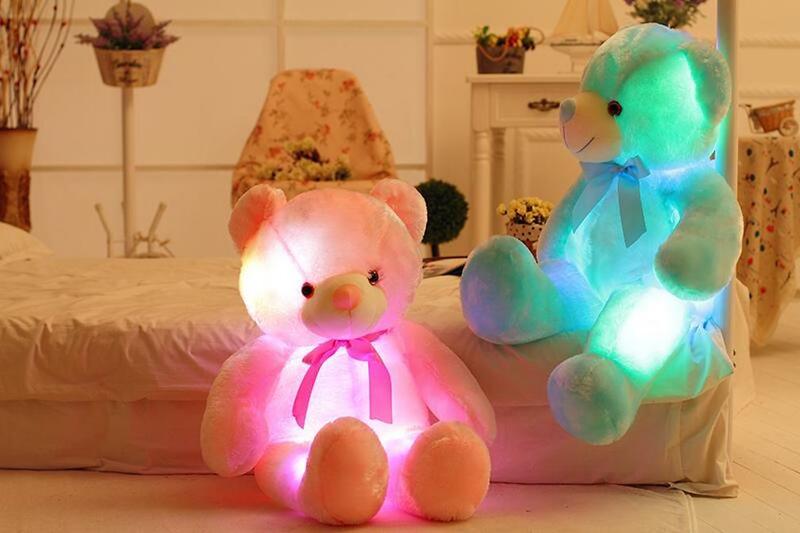 The term alternately refers to anything soft and stuffed. 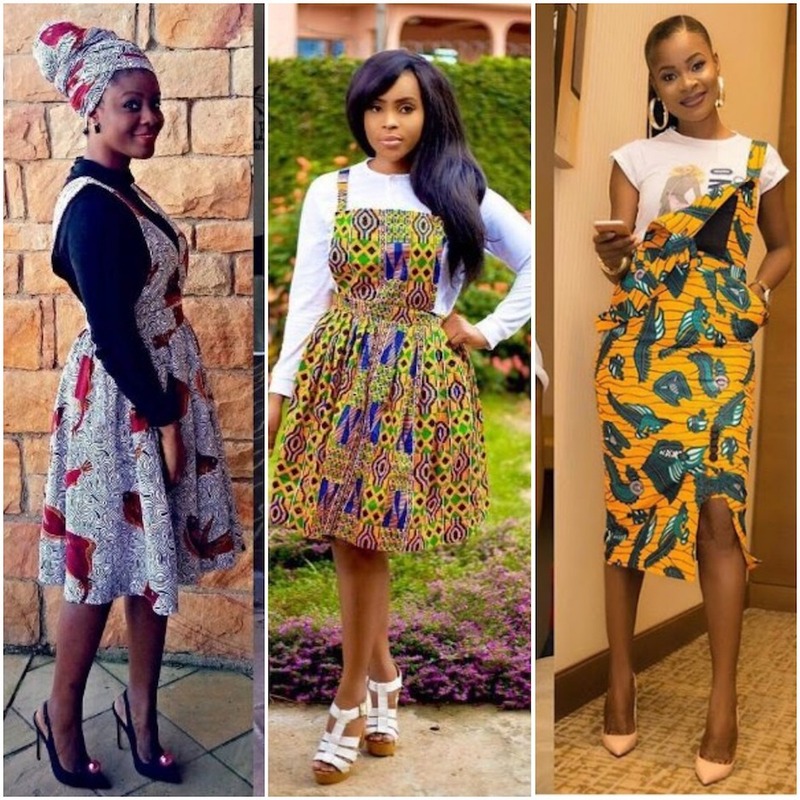 PLUS SIZE FASHION: Fashion items in sizes larger than average. In other words, fashion items for most of us. In stores, plus size fashion typically refers to sizes 16 and up for women. 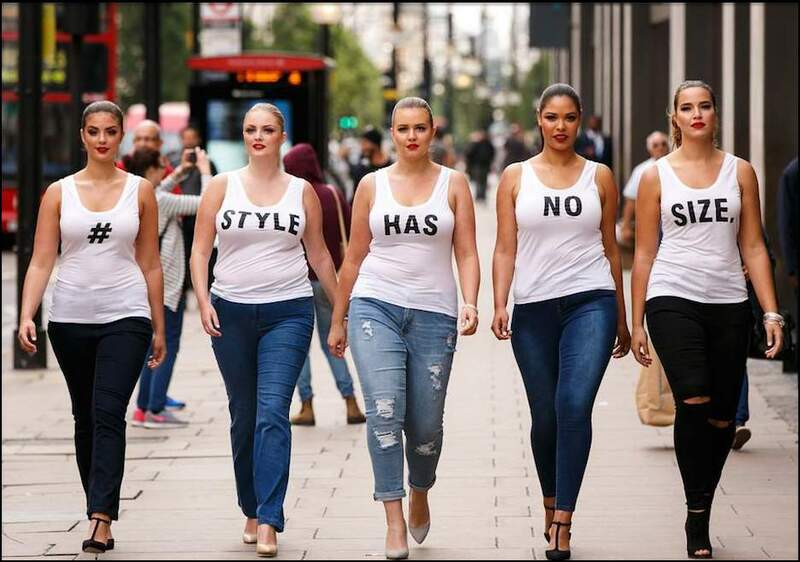 On the runway, plus size fashion means anyone larger than a size 6. PLY: 1. A measurement of layered thickness. 2. 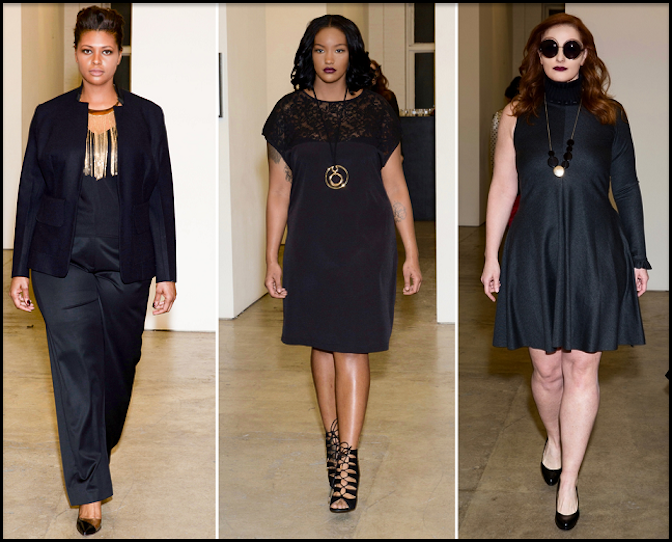 An American apparel company that has just launched a high end plus size fashion line called Ply428. 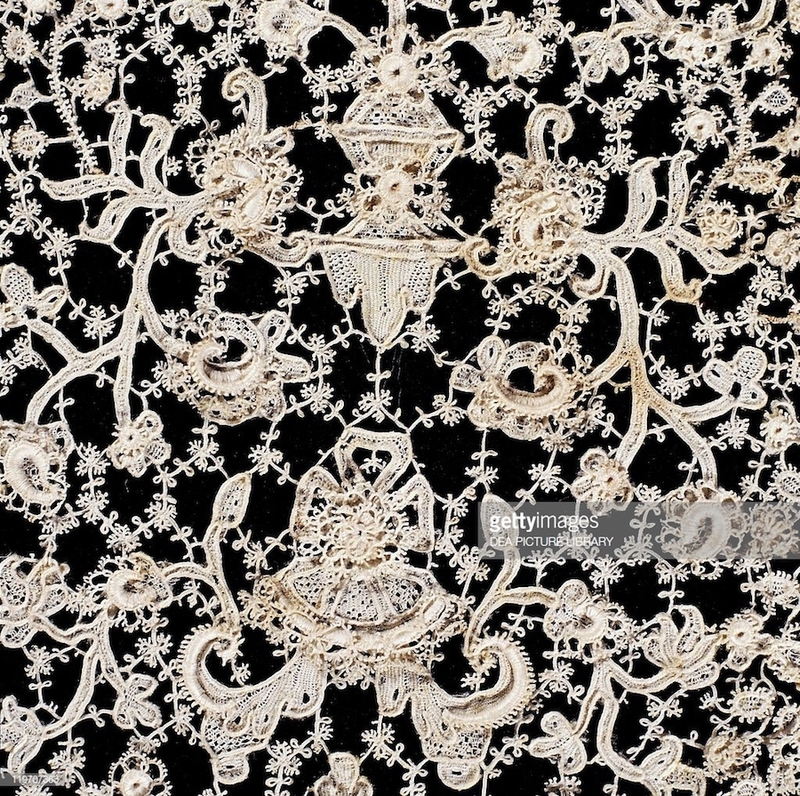 POINT DE NEIGE: A fine, intricately crafted French lace, recognizable by its unique snowflake motif. POINT D'ESPRIT: A type of dotted net fabric from France. POINTED TOE: A shoe that shows a sharp point at the front when viewed from above. POINTELLE: A particular open weave stitching technique that results in a pattern of tiny holes. Look Here Right Now for your First FREE, FAST AND EASY SEWING PATTERN! Full instructions included. 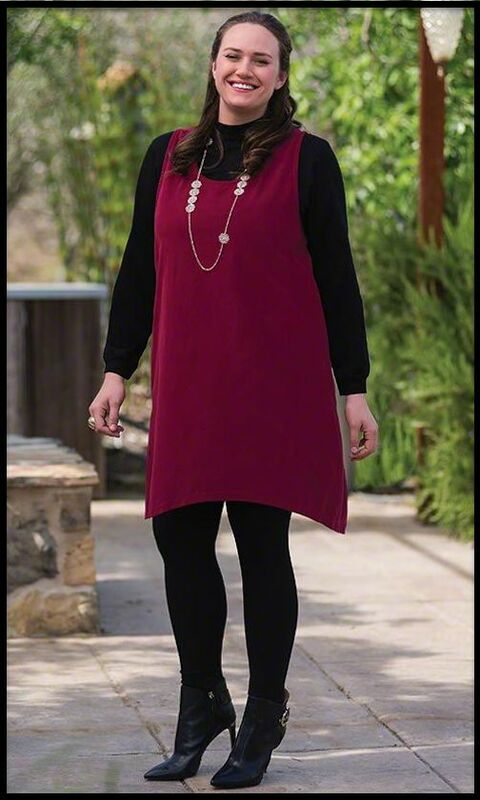 This cute garment can be custom made in any size, from petite to plus size fashion and beyond. 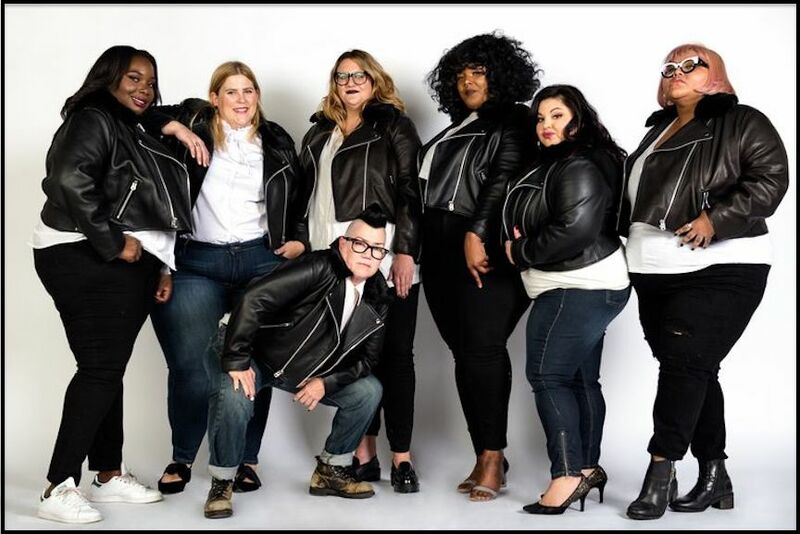 Learn about plus size fashion designs, fashion history, runway styles, and the latest trends at Fashion Colleges Near You. 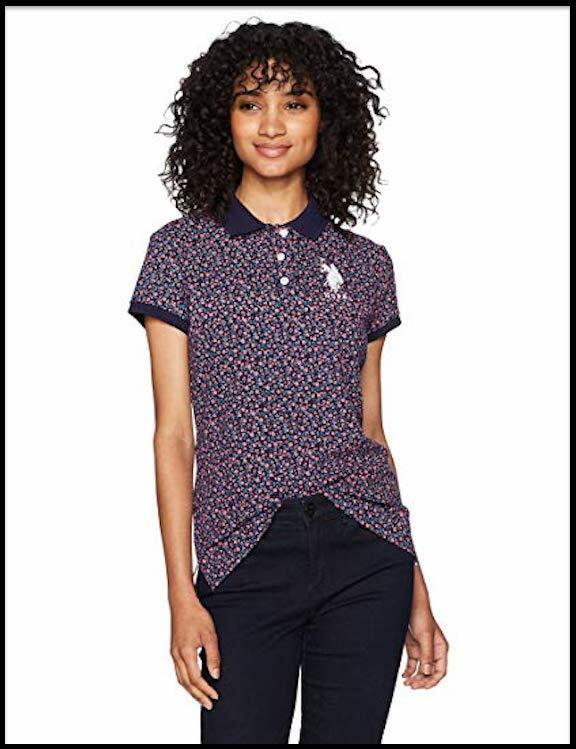 FACTORY OUTLETS IN EVERY STATE provides a detailed list of outlet stores Near You, carrying all your favorite petite thru plus size fashion must-have items.